I have seen no other program out there that can demonstrate student improvement in math and science as effectively as does Gizmos. As you endeavor to implement the NGSS, you will find no better tool for your educational tool box than Gizmos. The Next Generation Science Standards (NGSS)* is a collaborative, state-led initiative to provide standards that are rich in content and practice. These standards are organized across disciplines and grades to provide all students with an internationally benchmarked science education. The NGSS are based on the National Research Council's (NRC) Framework for K-12 Science Education. The NRC Framework describes a vision of what it means to be proficient in science; it rests on a view of science as a body of knowledge composed of core ideas and key concepts across disciplines, which are continually being refined through a set of shared practices. The framework presents three dimensions that were combined to form each standard: Practices, Disciplinary Core Ideas, and Crosscutting Concepts. 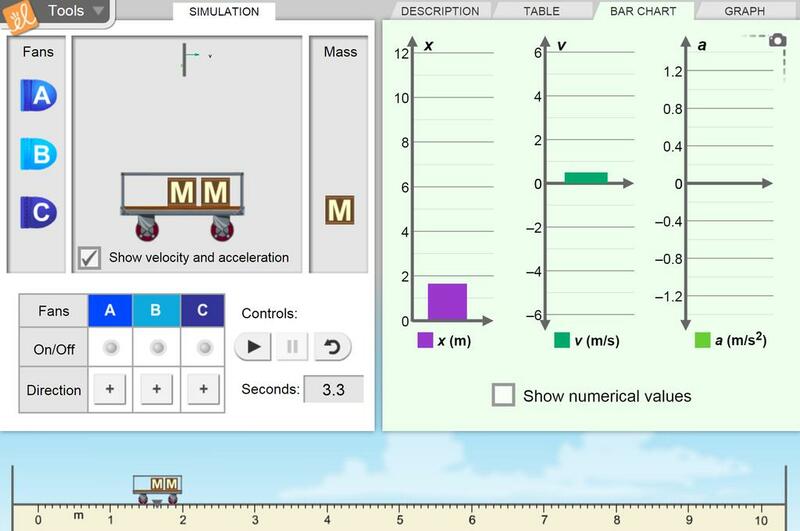 The Fan Cart Physics Gizmo allows students to explore Newton's Laws of Motion. Guided by Student Exploration Guides, students use models, conduct investigations, and design solutions. 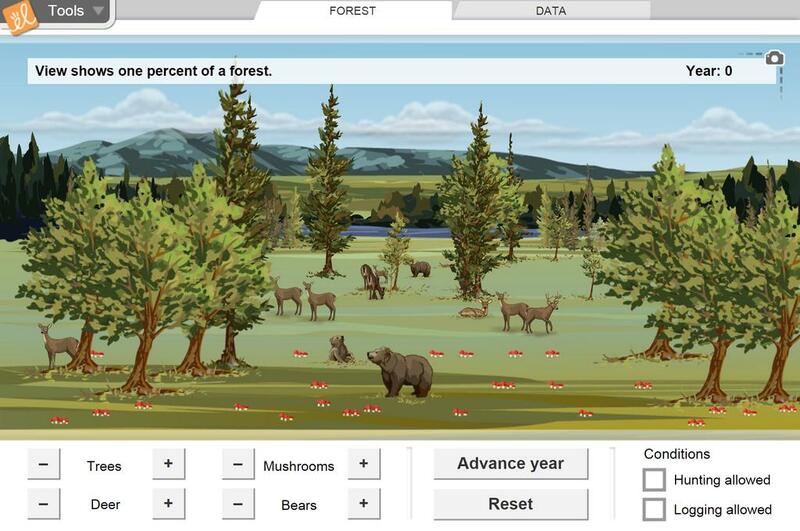 The Forest Ecosystem Gizmo asks students to observe and manipulate the populations of four creatures (trees, deer, bears, and mushrooms) in a forest. Students explore concepts of energy, causation, stability and change as they investigate the food web. 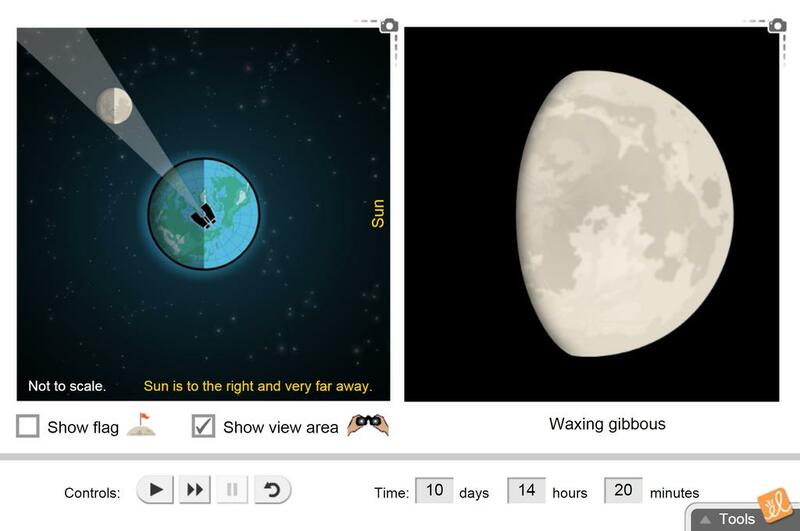 The Phases of the Moon Gizmo helps students understand the phases of the Moon by observing the positions of the Moon, Earth and Sun. Students collect and analyze data to understand the patterns within the model. The Atwood Machine Gizmo allows students to explore the concept of cause and effect as they measure the height and velocity of two objects connected by a rope over a pulley. 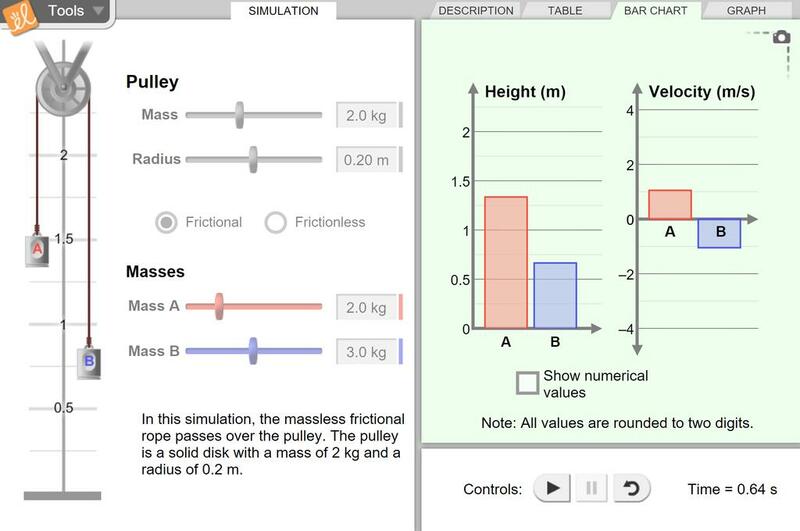 Students observe the forces acting on each mass within a system, calculate the acceleration of the objects, and relate these calculations to Newton's Laws of Motion. * Next Generation Science Standards and NGSS are registered trademarks of Achieve. Neither Achieve nor the lead states and partners that developed the Next Generation Science Standards were involved in the production of this product, nor do they endorse this product.